Your eyes are an essential component of your senses and play an important role in your daily life. Although regular optometrist visits and proper maintenance are paramount in preserving your vision, acquiring certain nutrients may also be beneficial. The cornea, which is a complex group of proteins and cells, is a transparent structure that is responsible for the refraction of light, and it is the initial point of visual contact. Glutathione is a tripeptide produced naturally by the body. For its production, however, you must consume adequate amounts of cysteine, glycine and glutamic acid. Glutamic acid and glycine are rarely in short supply, whereas cysteine must be made by the essential amino acid methionine. Foods high in this compound are generally high in sulfur and include egg yolks, red peppers, garlic, onions and cabbage. The lens and cornea are rich in glutathione, with levels decreasing drastically with age. To prevent cataracts and macular degeneration, eating foods with cysteine and methionine can help keep glutathione abundant in the body. Vitamin C is one of the most powerful antioxidants and one of the most important in the lens of the eye, second only to glutathione. This compound helps in the production of collagen, which helps to strengthen capillaries, including those that provide nourishment to the retina, and prevents cataracts by guarding the lens against free radical damage. A 1998 study performed at Tufts University in Boston found that consuming vitamin C at 400 to 800 mg a day lowered the incidence of cataracts by 77 percent in women. Like vitamin C, vitamin E's benefits for the cornea center around its antioxidant properties. 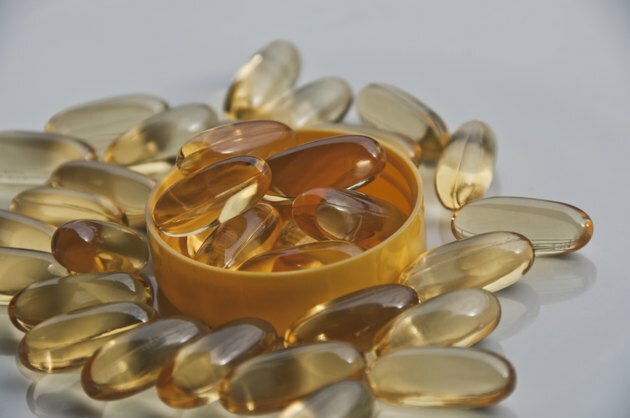 Vitamin E helps to delay the onset of macular degeneration related to aging and from cataracts. Low vitamin E levels in the body weaken capillary walls and can cause tiny white or yellow deposits to form on the retina -- a sign of degeneration. Foods rich in vitamin E include asparagus, avocado, dried prunes, soy and wheat germ oil. Are There Vitamins for Eye Floaters?